​Arsenal goalkeeper Petr Cech has claimed that the competitiveness of the Premier League is the reason behind English clubs' success in European competition this season. For the first time since 1971, England have six clubs in the quarter-finals of major European club competitions, with Tottenham, Manchester United, Manchester City and Liverpool doing so in the Champions League, while Chelsea and the Gunners did likewise in the Europa League. Speaking after ​Arsenal were drawn against Serie A side ​Napoli in the last eight, ​Cech has insisted that the intensity of Premier League games has benefited the top six in Europe. As quoted by ​The Telegraph, he said: "If you can see the quality of the football every weekend and midweek [in the Premier League], it is getting more and more competitive. "Sometimes the fact you have to fight every game for 90 minutes takes energy out of you for the European games but against Rennes it wasn’t the case." The Premier League is the first league to produce six European quarter-finalists in the same season since La Liga in 2015/16. The 36-year-old, who is set to retire at the end of the season, has been largely used as Arsenal's cup goalkeeper, with Bernd Leno the first choice in the ​Premier League, as he looks to win a second Europa League title before retiring. 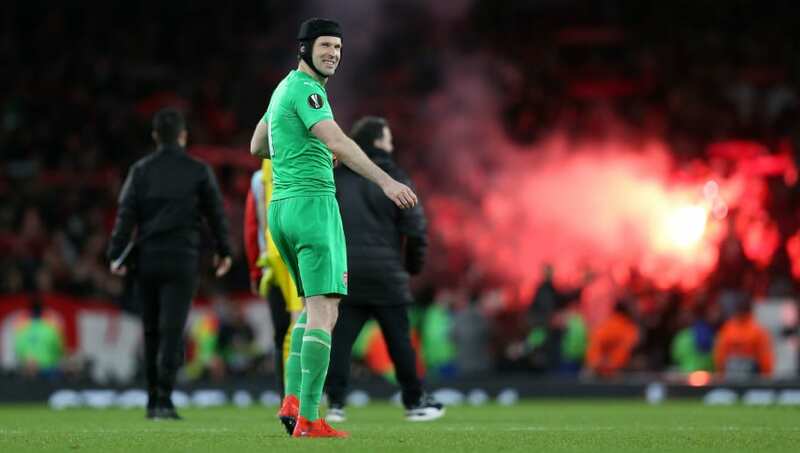 As well as pointing out the strength of the domestic league in England, ​Cech also suggested that the reason for sides like Paris Saint-Germain struggling in Europe could be the lack of competition in their week-to-week action, leaving them struggling to up their game. He added: "In the case of PSG [who were defeated by Manchester United], their problem is they don’t have enough big games during the year. Their squad and their quality is so far different from everybody else in their league that they are not tested week in, week out. "They don’t have enough big games and then in the Champions League when you come to the moment when you are under pressure, they are not used to it."